The PWD603RS remote start system provides top of the line features at an affordable price. Two 4-button transmitters with labeled buttons and an extended range window mount receiver for up to 750' range are standard features. Optional and programmable features include a trunk release output, car finder feature, cold start timed interval starting, keyless entry and more. The PWD603RS includes both tach and voltage sense operation and is compatible with almost all fuel injected vehicles- both gas and diesel. With a PWD603RS, warm winter mornings and cool summer afternoons are now just a button press away. 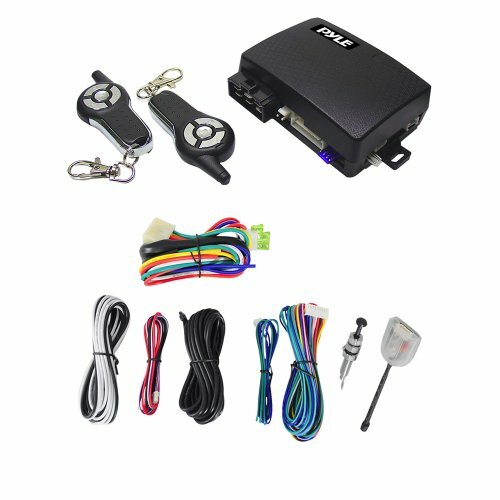 Bulldog Remote Talking Alarm System With Seven Talking Messages, One 4-Button Remote Transmitter, On-Board Shock Sensor, One-Wire Hook-Up, Full-Time Panic Button, Remote Car Finder, Automatic Passive Arming, Plug-In Flashing Led Indicator And Range Antenna Up To 250 Feet. Don't be fooled by some knock off. This key fob remote is a factory original part so it will work with your vehicle. If the part numbers on your current remote match the part numbers on this remote it will work. Please note that this keyless entry remote will need to be programmed to your vehicle before it will work. Most remotes are self programmable, however depending on your vehicle, it may need professional programming. Please inquire on this before purchase as you will be charged for professional programming.